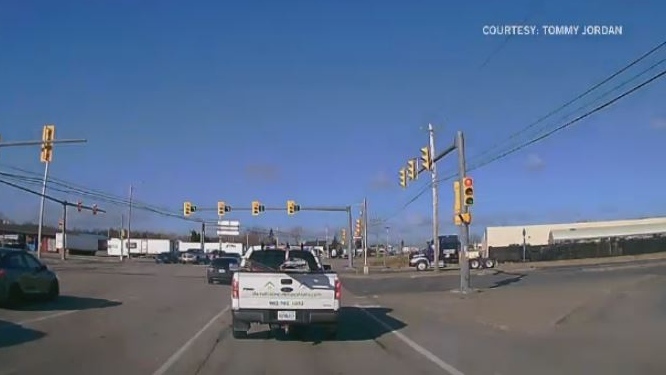 A vehicle travelling at a high speed, running a red light, and then narrowly escaping a collision with a semi, was all caught on camera by a Cape Breton motorist. Tommy Jordan still can't believe what he witnessed early Monday morning. As he was heading out to start his day on the job, Jordan and another co-worker waited their turn at an intersection. Suddenly they heard sirens, and then a car zoomed past them in the inside lane. On Wednesday, Jordan said he was just happy to be at work, noting it could have been a lot worse. The intersection is one of the busiest in Sydney and, in the video, you can see the vehicle just missed getting T-boned by the semi. Const. 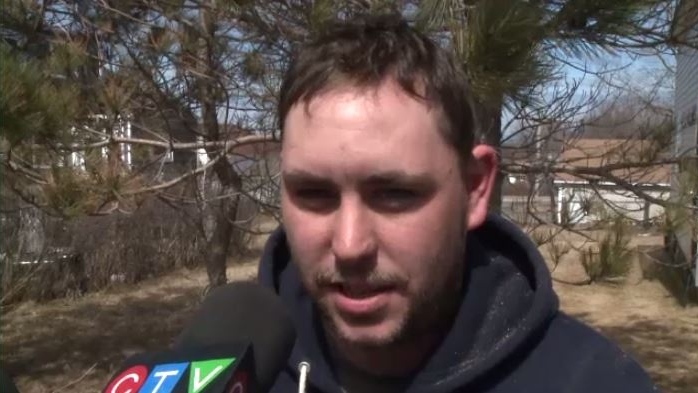 T.J. Martell of the Cape Breton Regional Police says police are aware of the incident and says the driver could face a number of charges, if caught. 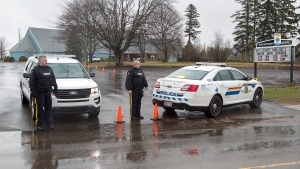 Cape Breton Regional Police say, so far, no charges have been laid, and they are asking anyone who may have witnessed the incident at the intersection to come forward. 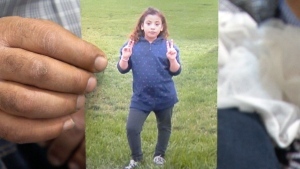 “After gathering a licence plate and marks attached to the vehicle, it allows investigators to investigate further into accurately identifying the vehicle that was involved,” said Martell. The speed limit in the area is only 60 km/h. Jordan estimates the vehicle that sped by them more than tripled that. A dashcam captured footage of a vehicle travelling at a high speed, running a red light, and narrowly escaping a collision with a semi, in Sydney.